Tangerines, which are winter-season fruits, are members of the Rutaceae (citrus) family and have a scientific name of Citrus reticulata. They have a citrus taste and are low in calories yet high in nutrients. The American state of California, as well as the country South Africa, consider tangerines as an important agricultural and domestic product; their tangerines are of export quality. Tangerines are flat and small as compared with navel and Valencia oranges, which are rounder in shape. Tangerines are usually distinguished from oranges by the presence of a knob at the stem end of the fruit. The vitamin C in tangerines release collagen and elastin that contribute to your skin’s natural glow and smoothness, making you look younger than you actually are. Tangerines also contain vitamin A, which enables your skin tissues to rebuild and protects you against skin deterioration by erasing signs of aging such as wrinkles and fine lines. Also, the vitamin A in tangerines moisturizes the sebum in the scalp, causing both it and your hair to become strong. To delay the process of hair graying, it is a good idea to eat lots of tangerines for they contain vitamin B12 that protects against the degradation of hair. Shiny hair can also be achieved as tangerine contains vitamin C compounds that nourish your hair from root to tip. If you want to have a great smile, you should start eating tangerines. They can protect you against gingivitis, a condition which weakens the gums. A University of West Ontario study showed that tangerines are a good source of bioflavonoid compounds called nobiletin, which burned fat, in effect helping you avoid diseases that are caused by too much storage of fat in the body, such as type-2 diabetes. Tangerines are also an excellent source of potassium, which can help repel diseases associated with stroke such as blood clotting. A study conducted by Nurse’s Healthy Study that involved over 69,000 people concluded that 19 percent of the individuals involved in the study who had a daily diet of tangerines had less risks of getting blood clots as compared with people who did not ingest tangerines on a daily basis. Tangerines can also be used as an antiseptic. Apply the fruit of the tangerine to your wound to disinfect it, in the event that you don’t have a bottle of rubbing alcohol with you. Toxins and other unwanted substances such as uric acid are also eliminated with a constant diet of tangerines. The fiber in tangerines promotes proper and regular bowel movement and aids in digestion. It also reduces the risk for many cancers and other diseases such as arthritis, obesity, and coronary heart disease. Tangerine essential oils are also a cytophylactic, which enhances cellular production and division to support the growth of new cells that can help in repairing the wear and tear that the systems in your body have gone through. Your immune system can be well-protected if you are in the habit of eating tangerines. This is because of the vitamin C in them that can make you less likely to catch influenza, cold, and fever. Spasms are generally signs that your body is undergoing something that is not favorable to it, such as problems in your digestive, respiratory, or nervous systems that can lead to asthma, congestion, and coughs. Protect yourself from these occurrences by eating tangerines. Tangerines are usually eaten the way they are as from the tree, or are squeezed to become flavorful juices. They also sometimes serve as garnish to a sumptuous meal. Here are other ways in which to consume tangerines. Tangerines are good for the proper maintenance of your skin, hair and scalp, and teeth and gums. 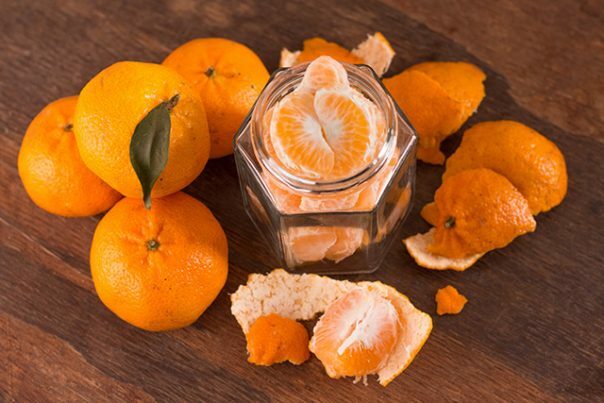 Tangerines can be used as an antiseptic. Tangerines regulate the production of fat in the body and aids in proper digestion.